Ghana is a developing West African state with a population of 26 million and a typical warmer climate and a cooler raining season. Ghana is a democratic and politically peaceful country ranking 58th on the Global Peace Index. That said, the thought of relocating or deciding where to live in Accra, Ghana can be daunting when you have no idea how the housing, transportation, and social amenity conditions are. Fortunately for you, this article seeks to inform you about the top nine best places to live in Ghana. 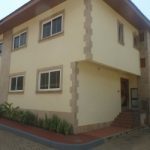 Airport Residential Area is 5 minutes’ drive west of Kotoka International Airport and the finest place to live in Accra. It is quiet, clean and very secure. Prominent Ghanaians like the former President John Kuffour and foreign nationals reside here. There are many top hotels and serviced apartments to choose from. Public transportation is cheap but not as efficient so most residents travel in their cars. Shopping malls, banking halls and ATMs, schools, hospitals, pharmacies, restaurants, embassies, and airline offices are all located in this area. A section of high-rise buildings called “Airport City” offers this area a promising future. Acquiring property in the Airport Residential area is extremely pricey and the cost of living is expensive to the middle-income class. Cantonments is the second finest place to live in Accra. It is located 5km west of Kwame Nkrumah Circle and 15 minutes’ drive southwest of the airport. Same caliber of people above live here. 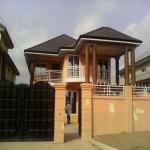 There are many nicely built, 3-4 bedroom gated community estate houses to choose from. You might decide to live in Cantonments with your family because the Ghana International School (GIS) which is located here. You will have to travel 10-15 minutes to nearby Osu when you wish to visit the supermarket, ATM, etc. Be financially robust; the cost of living in Cantonments is not for everyone. Osu is not a planned residential area but has service apartments for middle-income class and foreign nationals who enjoy nightlife. Built in the midst of century old buildings, the popular Oxford Street in Osu is noted for its many restaurants, cafés and brisk 24/7 businesses. There is a joint for Chinese, Italian, Thai and Mexican food if you enjoy these. Like Airport Residential, you can find just about anything in Osu. Labone is to the south of Cantonments with no clear border in between. It stretches to Labadi on the east and to the coast. Middle class nationals and Lebanese Ghanaians live here with their families. Apart from guesthouses, there are no serviced apartments or top hotels. Housing agents can help you find suitable 3-4 bedroom homes belonging to rich individuals for a minimum rent period of two years. Like Cantonments, you will have to travel 15-20 minutes to Osu to shop, eat, etc. 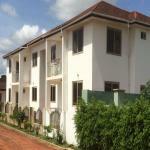 Roman Ridge is the fifth finest place to live in Accra, west of Airport Residential. It has several excellent hotels and serviced apartments for rent. It is a quiet area with few offices here and there. For everything else you will have to travel to neighbouring areas. East Legon is approximately 14km northeast of the city center and is home to wealthy Ghanaians who have returned from abroad to live in their extravagant homes. 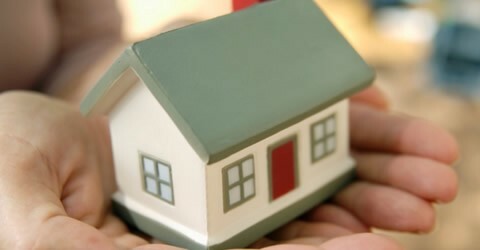 Housing and real estate agents can help you find suitable accommodation in this area. There is a shopping mall that serves the area. West Legon is 13km north from the city center. This residential area is also home to wealthy Ghanaians who have returned from abroad. 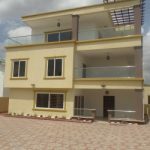 The serviced apartments and estate housing in this area are suitable for business owners and international students studying at the University of Ghana (Legon). Dzorwulu Residential Area is 30 minutes’ drive southwest of the airport and 6.5km southeast of the city center. 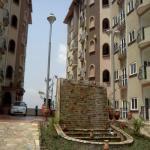 There are fewer serviced apartments and estate housing in Dzorwulu. Everything else about this area is similar to Labone.